The Universal Sheraton in Los Angeles is host to numerous Jewish and Orthodox Jewish weddings every year. 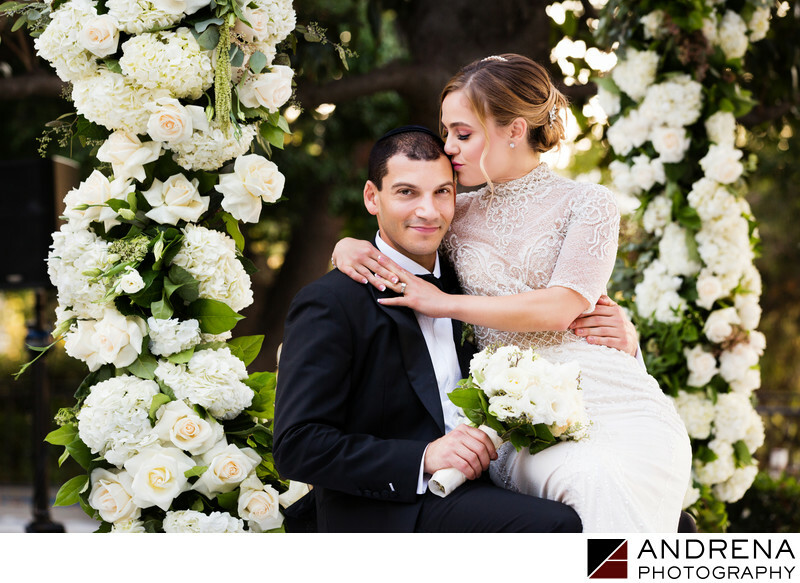 For this wedding, the chuppah was decorated with beautiful white roses and hydrangeas, giving the ceremony a lush feel and adding luxury to the photography. Photographing Jewish weddings of all types is a true joy for us, as the love of family surrounds the couple and elevates the ceremony to the happiest it can be. Location: Universal Sheraton Los Angeles. Keywords: Jewish Weddings (3), Los Angeles Wedding Photographer (18), Universal Sheraton Wedding (3).